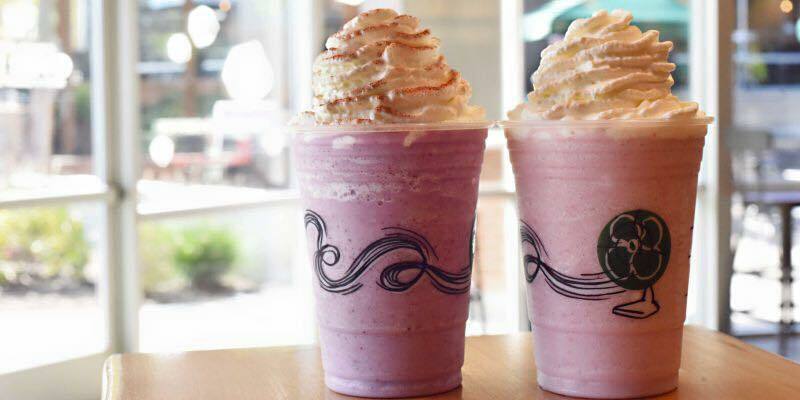 August 27th – September 7th, you’ll find two new promotion Frappuccinos at Starbucks. Be on the look out for the Blackberry Frappuccino and the Strawberry Shortcake Frappuccino. Strawberry Shortcake combines strawberries, strawberry juice, vanilla bean, hazelnut syrup, whole milk, and ice, while Blackberries & Crème blends blackberries, vanilla bean powder, whole milk, ice, and finishes with a cinnamon dolce topping. Both are the Starbucks special crème-based Frappuccinos, meaning that they don’t have coffee in them. My pro-tip for the Blackberry Frappuccino is that it’s extra wonderful double blended. The Starbucks Reserve Roastery and Tasting Room Boarded Up. @Jocelyn – That’s a fabulous suggestion! I’m curious looking at the Starbucks website, they say that these flavors are sunshine-inspired. What the heck does that mean exactly?? Have to say I was very disappointed in the Blackberry frappuccino. I’ve been loving all things blackberry including the chobani yogurt I recently discovered and the new blackberry eos lip balm. So I had high expectations. While it was very sweet and creamy it tasted nothing like blackberry. I only got a taste of the fruit when I chewed on the seeds. I didn’t get a chance to complain since I ordered at the drive-thru. chalked it up as a wash because it’s part of a rewards challenge that will get me 8 bonus stars on my account. This was not my usual Sbux location. Out of my regular stores one isn’t advertising it so I don’t think they are offering it and I’ve yet to see anyone order it or the Strawberry at the other one. I got the new Blackberry Frappucino over the weekend using a reward since I did not seem to have gotten the bonus star challenge that others got. I know all of us MSR members do not get the same deals at the same time. I liked it but I am not sure they double blended it as requested. They were busy. I had gritty seeds that took away from my enjoyment of the drink. I will try it again and hope that the double blending will help with the seeds issue and I will add chai and use a reward since I have more to use before they expire.